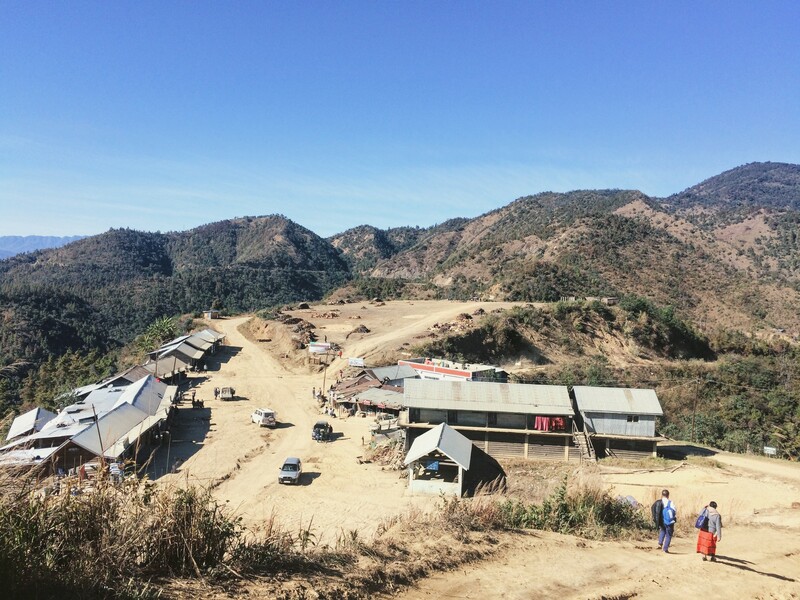 Ngahui Village, one of more than 200 Tangkhul Naga villages, is fairly spread out. 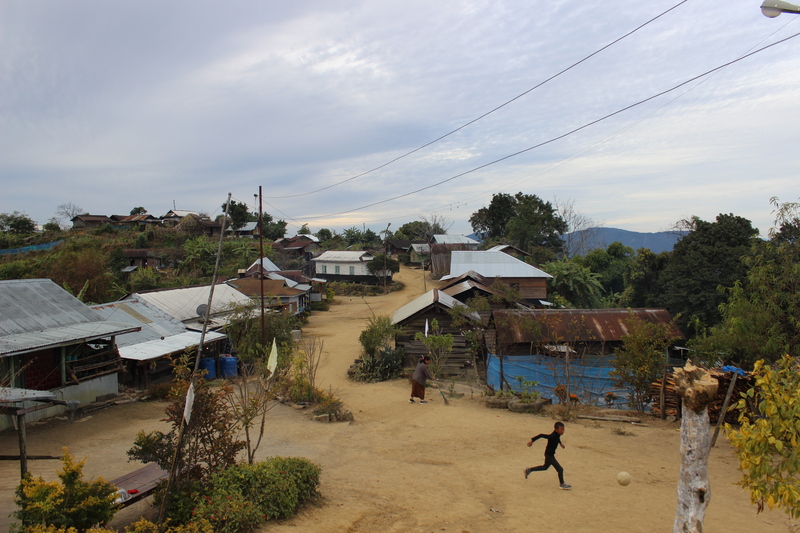 Worchihan’s parents’ house, somewhere in the middle, sits in a line of houses facing another line of houses with an open space in between that is often used for gatherings. 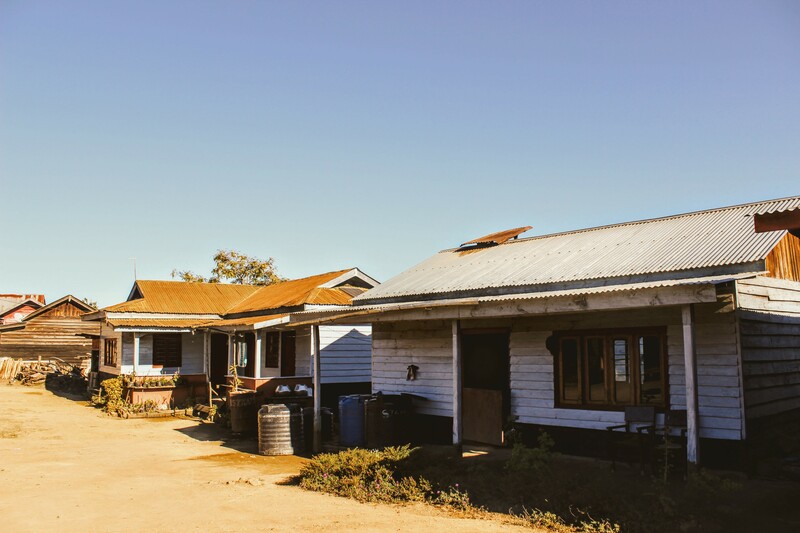 In the village, almost everyone has a house and a separate kitchen. Because the villagers cook with fire, the kitchen can become smoky and the smoke stinks. Also, having a separate house allows the villagers to have some privacy, as the kitchen also serves as the living room and people feel free to drop by at any time. About 20 minutes’ walk from Worchihan’s parents’ house is the junction, a sort of village hub made up of 10 or 12 wooden shops lining another dusty open space — it feels a lot like the wild wild west, minus gun-wielding sheriffs and drunk men falling out of saloons. 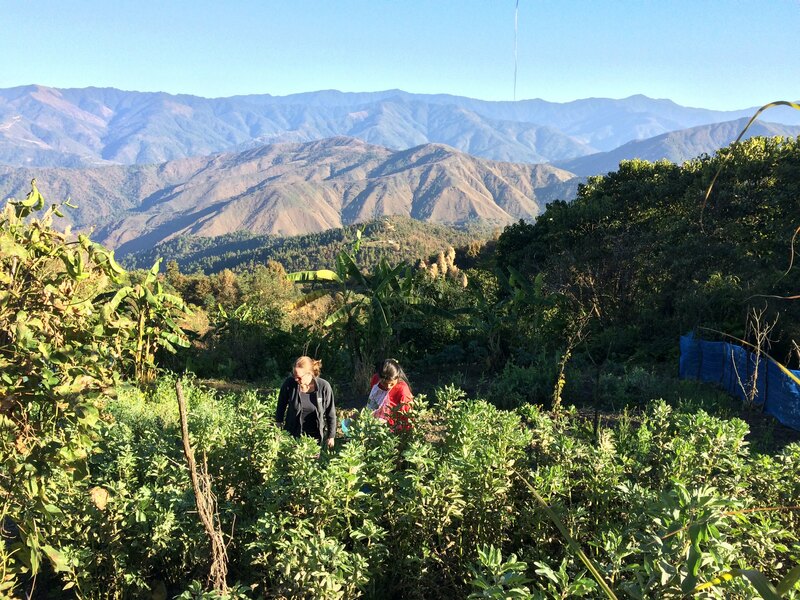 The villagers, most of whom are rice farmers, are pretty self-sufficient, living off their rice, pigs and chickens and off the fruit and vegetables from their garden. The only food they need to buy? Sugar, salt and oil, which, among other food items and supplies, like plastic buckets for bucket showers, are available at the junction. The timing of this particular visit was perfect for several reasons. First, Worchihan’s older brother and his wife are about to have a baby. 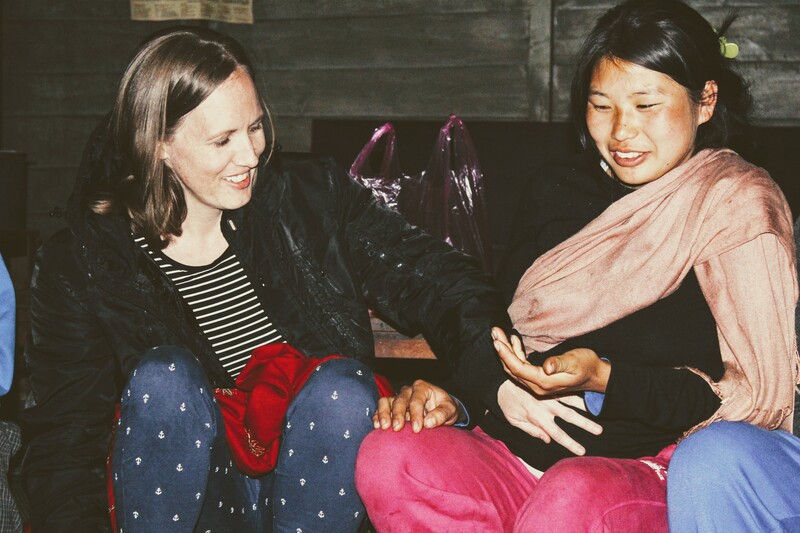 A couple of months ago, Ningtam, Worchihan’s brother, asked Worchihan and me as well as my parents for names for the baby, which was an honor for us. Rungmila, Ningtam’s wife, always thought it was funny that I wanted to touch her belly, but that’s just what we do, yeah? We were so happy to be home to attend Worchihan’s younger brother Rammayon’s engagement ceremony in a neighboring village. 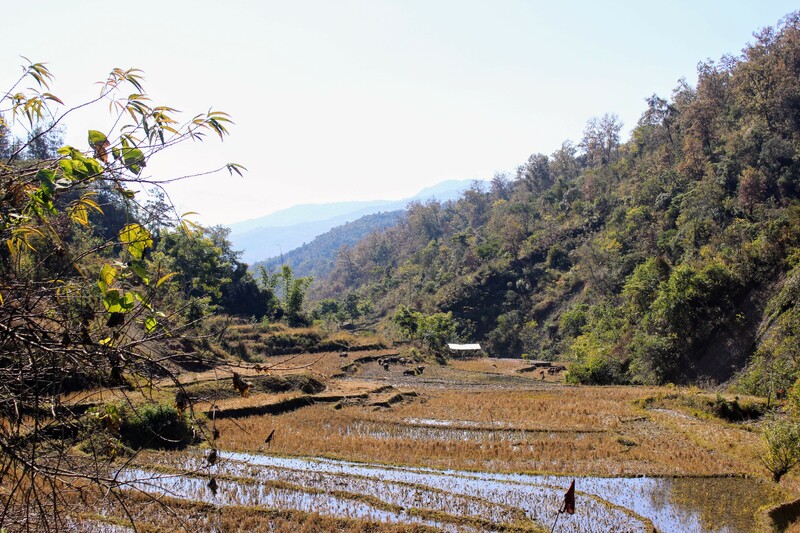 In Tangkhul tradition, the men of the man’s family visit the men of the woman’s family. 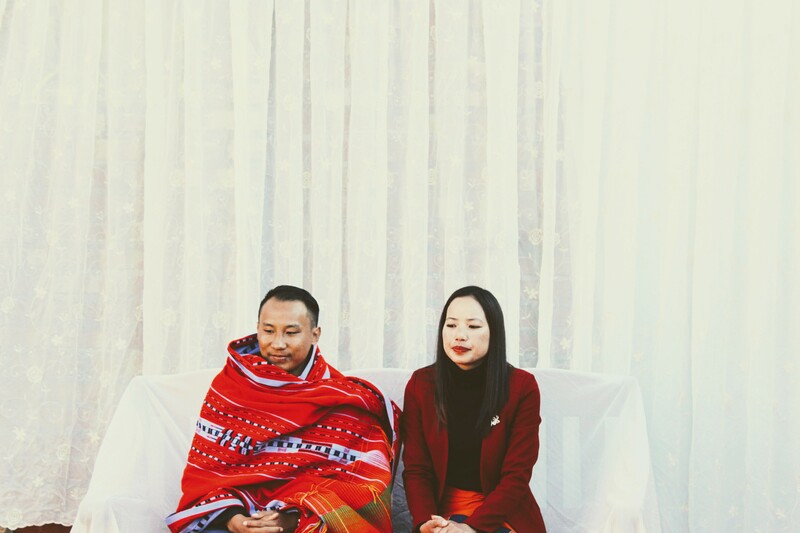 Both dads speak, the man speaks and then the man and the woman exchange gifts; in this case, Rammayon gave his fiancée, Aror, a ring and she gave him a traditional Tangkhul shawl. After the ceremony, everyone ate. 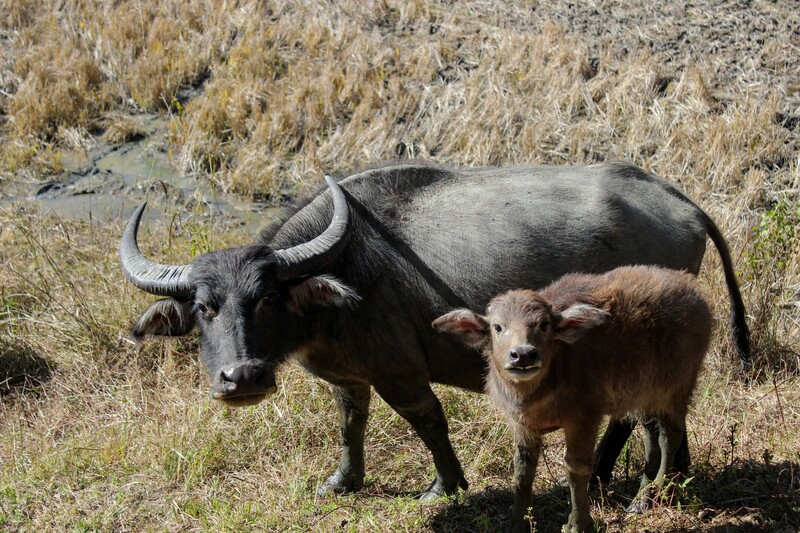 During our trip, Worchihan and his dad made a special visit to our water buffalo. We have two now, as our first one gave birth in November. 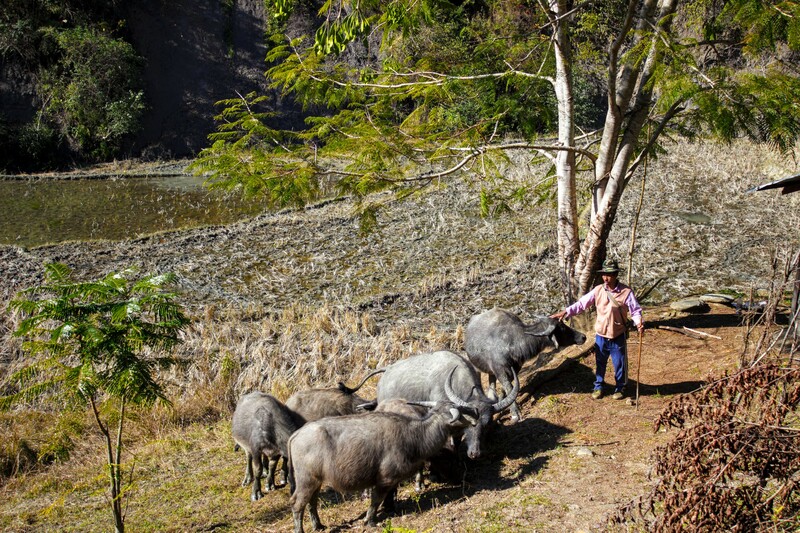 As I wrote in a previous post, buffalos are essential to life in the village as they are used to plow the rice paddies and male buffalo meat is served at weddings. 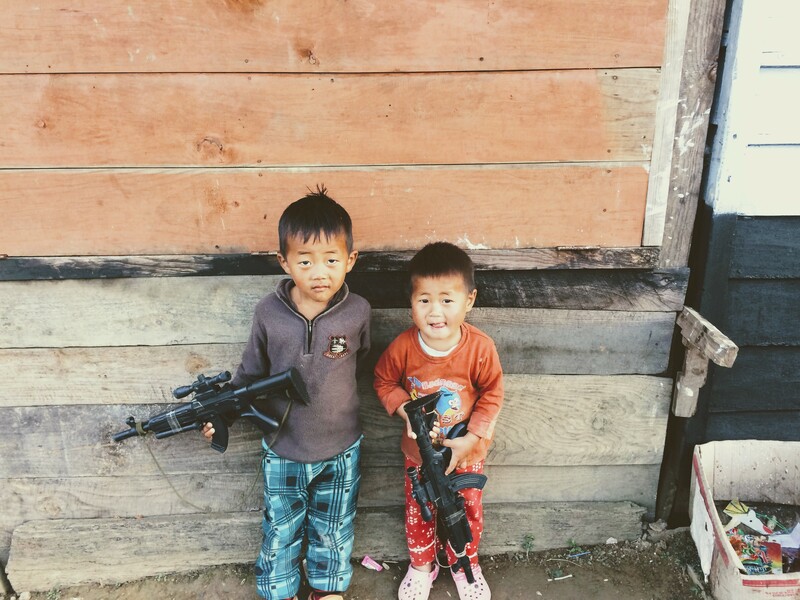 The whole family enjoyed the two amusing little boys who live across from Worchihan’s parents. I think we all at some point kicked a soccer ball around with them. It’s always difficult to adjust to life in Bangkok after spending time in the village. The village is so quiet and full of friends and open spaces, but Bangkok is noisy and crowded and overwhelming, in many ways the exact opposite. I sometimes imagine living in the village, where our future kids could grow up outside, exploring, where planners aren’t necessary, where there’s always a cup of tea and a seat around the fire waiting for you. I think this kind of life is available wherever we are if we choose it, though maybe not to the extent we could find in a village. This is the kind of life I want for us in 2018, a life of relationships and hard work and quiet and enjoying the beautiful world God created for us. Happy 2018, everyone. May you also be able to experience a little bit of village life wherever you are this year. What a blessing you and your husband are to your families!! Your parents recently reconnected with us on FB. I have been looking at their travels, and saw your blog. So proud of the woman of God you have turned out to be! !